Hand Operated Tensile Testing System, the two column frame with a hand wheel operated lead screw is a perfect tool for tension, compression and flexural testing of springs, rubber, paper, film etc., with apt attachments. These are appreciated for their durability, accuracy of results and high tensile strength. 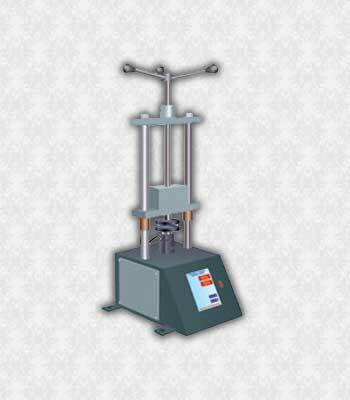 It is a better Tensile Tester Machine having variety of applications. Feather touche Key board operation. Tare Facility for force and displacement. Load display in Kg. Or Newton.